Play at Bob Casino here! Bob Casino established in 2017 is a fun-themed casino that has established itself as a secure and enjoyable place to spin slots and play other casino games. Nicely designed, it brings you a character named Bob that does all the handing out when it comes to freebies such as cash bonuses and free spins, which is certainly cute and makes it stand out. The casino, founded over two years ago, quickly managed to get the attention of players from around the world due to its reliability and commitment to making the usual things more fun. 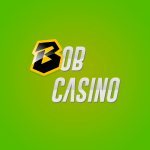 At Bob casino you can play slots, roulette, blackjack, poker and quite a few other games that anyone would reasonably expect to find at a casino – this Bob Casino review is aimed at giving you all the information you might be wondering about. First bonus is 100% up to $100 + 100 free spins for Boomanji. The bonus free spins get credited as 25 every day for 4 consecutive days. Third deposit -=is 50% up to $200 + 30 free spins for Tipsy Tourist. All in all a pretty good welcome package. The wagering requirement for all deposit bonuses and free spins is x40. But there certainly are more things to do at Bob’s once you are done with the welcome package. There is a weekly tournament with thousands of dollars in prizes and even more free spins up for grabs. These are awarded to most active players that are just required to play their favorite slots, advancing on the leader board. Then there are also Friday bonuses with a certain percentage of your bonus added to your account as a bonus + free spins for some relevantly themed slot. On top of that Bob has a 22-level VIP program where you can earn free spins and cash without doing anything in particular – just playing the slots you enjoy the most and earning points. Additionally, Bob offers a chance to win your share of 500 free spins every single day for getting the biggest multiplication during a slot game. Bob Casino has an impressive collection of slots and other casino games from top providers. You will find such names on the list as ELK, 1×2 Gaming, Quickspin , NetEnt, Ezugi, IronDogStudio, BGAMING, BetSoft Gaming, Platipus, Thunderkick, Booming Games, Spinomenal, Endorphina, Mr. Slotty, Microgaming, iSoftBet, Amatic , Evolution and EGT, as well as Pragmatic Play, GameArt, Play’NGo, Habanero, Belatra, Yggdrasil. Online slots make most of the 2,500 games available at Bob Casino. You will find a wide range of top slot titles to chose between – there are such exciting slots as Viking Fortune: Hold and Win, Stellar Spins, Temple of Nudges, Dwarf Mine, Fruitbat Crazy, Agent Jane Blonde Returns, Temple Cash Frogs ‘n’ Flies, Wild Gladiators, Book of Queen, Zombie Hoard and Boom! Shakalaka. What’s special about the slot list at Bob Casino is the an exclusive slot that you will find nowhere else called Bob’s Coffee Shop made by BGaming just for them. Bob Casino offers an exciting choice of table games that every casino fan will be sure to appreciate. 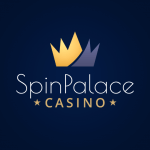 You can play such classics as roulette or blackjack whenever you are feeling nostalgic and would like to take a break from the thrill of video slots. You will find a separate tab for table games in the lobby, which makes getting to them pretty convenient. Most of the table games offered at Bob Casino are live games powered by Evolution. 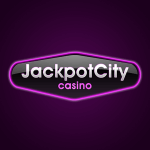 There are over 70 kinds available – including dream catcher, keno, casino hold’em, dragon tiger, as well as plenty of varieties of roulette and blackjack. Bob Casino’s responsive website is available to players across the world no matter the mobile device being used. You can play straight from your browser and do not need to concern yourself with apps, playing all and any games available with just as much convenience The navigation remains just as logical and easy, with the casino adapting to your screen perfectly to make sure you are not missing out on any features or enjoyment. You can make a deposit with Bob’s casino using Visa, MasterCard, Neosurf, Skrill, Neteller, iDeal, Rapid transfer, Interac online, Sofort, EcoPayz, Maestro, Trustly, Paysafecard, Instadebit or iDebit. All deposits come with 2.5% fee. Withdrawals are instant, except for bank transfer and credit cards, and free. The following methods can be used for withdrawing your winnings: Visa, MasterCard, Trustly, Instadebit, iDebit, Neteller, Ecopayz, Skrill, Paysafecard and bank transfer. There is a good reason why so many players out there find Bob Casino so appealing. It’s not just about its fun theme and regular deposit bonuses, but also the incessant promotions that keep things interesting, as well as the loyalty program that allows you to earn extra cash and free spins just playing the slots you love. Bob casino keeps expanding its already impressive collection of slots and makes sure every customer is secure by using 128-bit encryption for processing the payments.